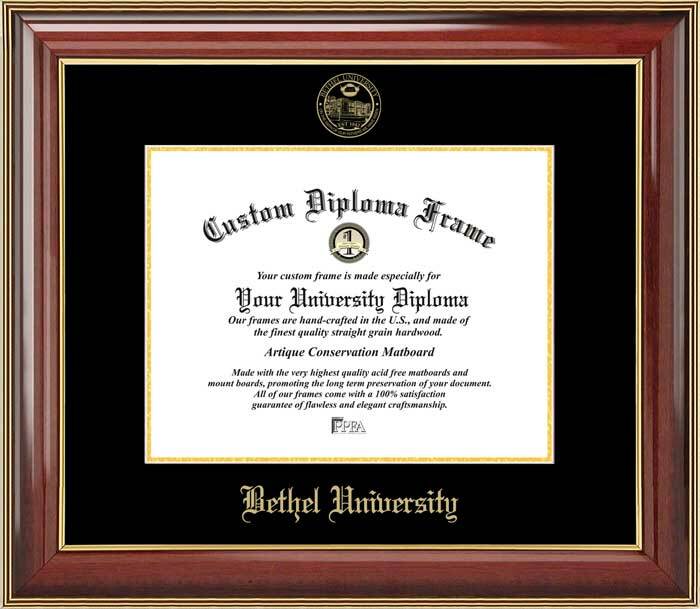 IT IS VERY IMPORTANT TO PROVIDE US WITH THE DIMENSIONS AND ORIENTATION (HORIZONTAL OR VERTICAL) OF YOUR DIPLOMA! 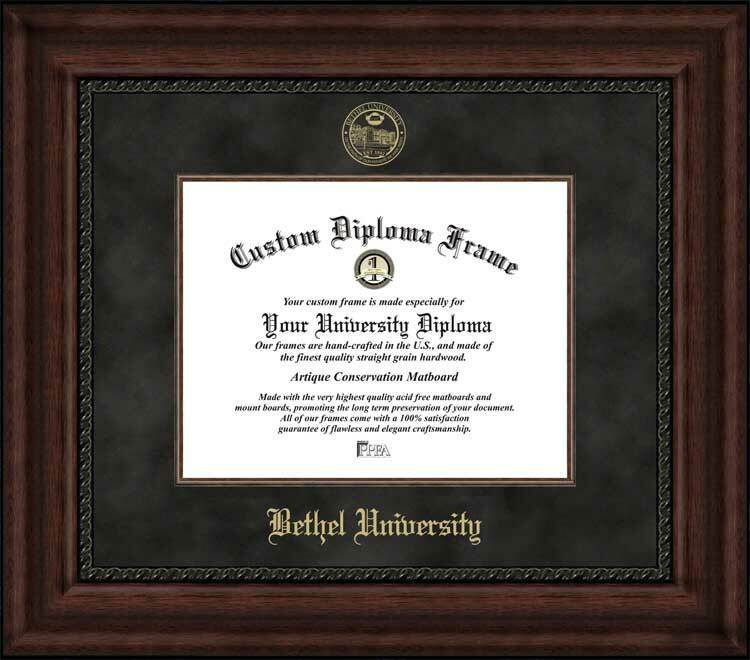 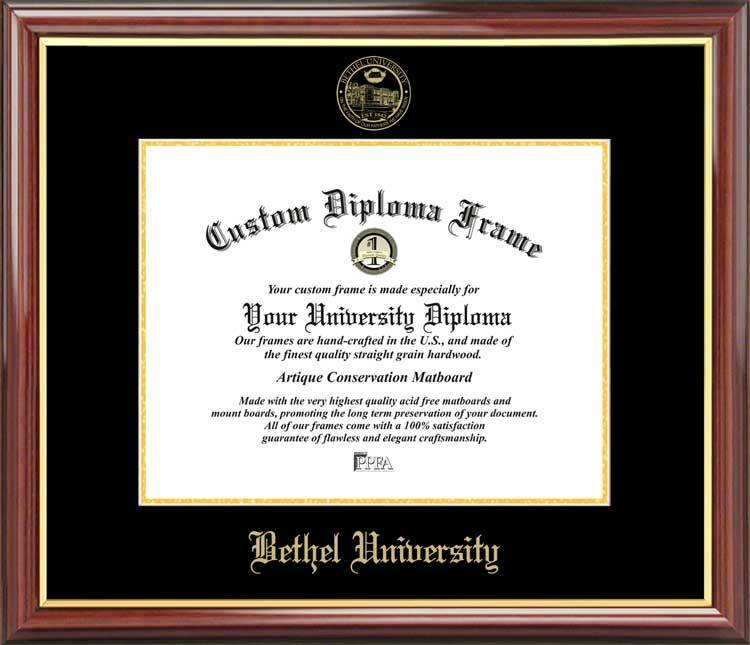 If you do not have access to the diploma, please contact the Bethel University (TN)'s Office of the Registrar at (651) 638-6250 to determine the width and the length of the diploma. 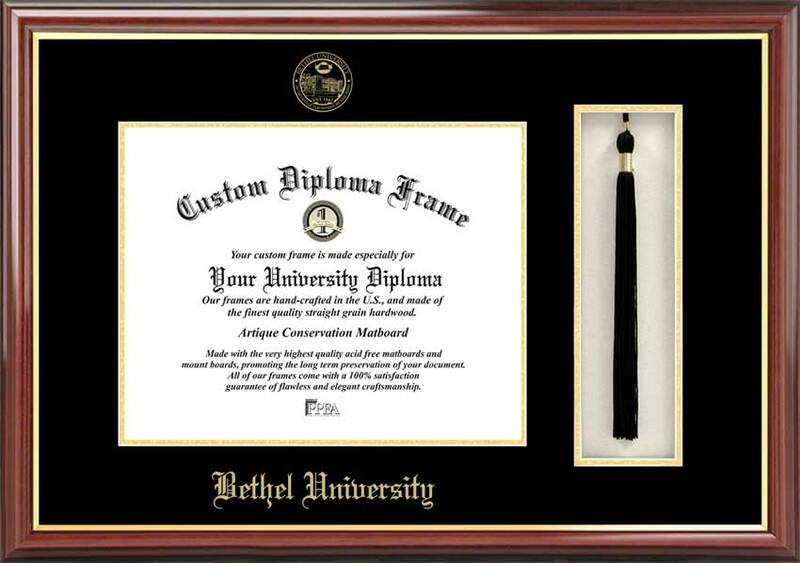 It will be necessary to supply the Registrar with the type of degree and the year of graduation. 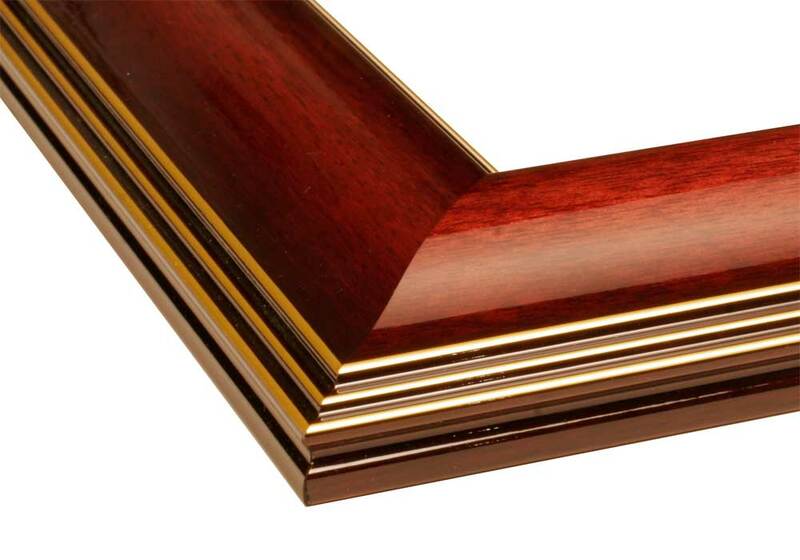 If you proceed to checkout without supplying this information, please call or email our customer service department.